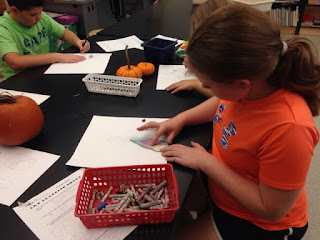 This year we are bringing Teaching for Artistic Behavior (TAB) into the Middleton art rooms. 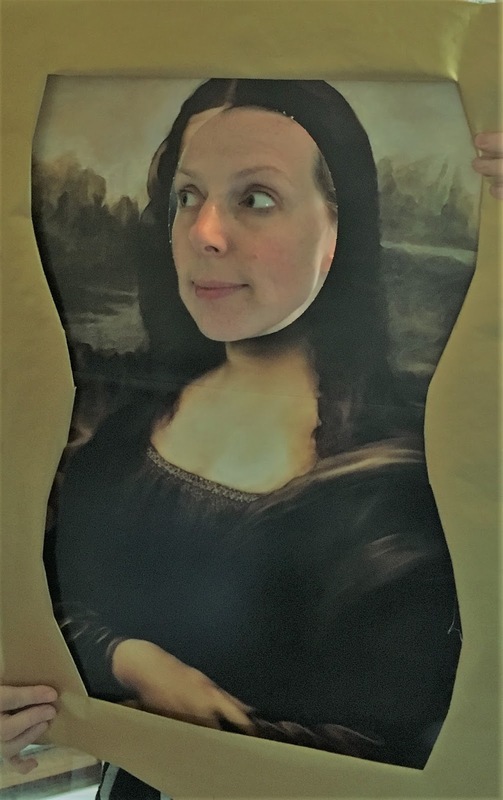 This choice based approach to teaching art helps students to gain learning experiences where they can feel like real artists and guide their own learning. 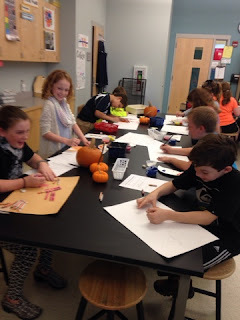 Our goal is to bring more choice into the art room and create more excitement for learning. 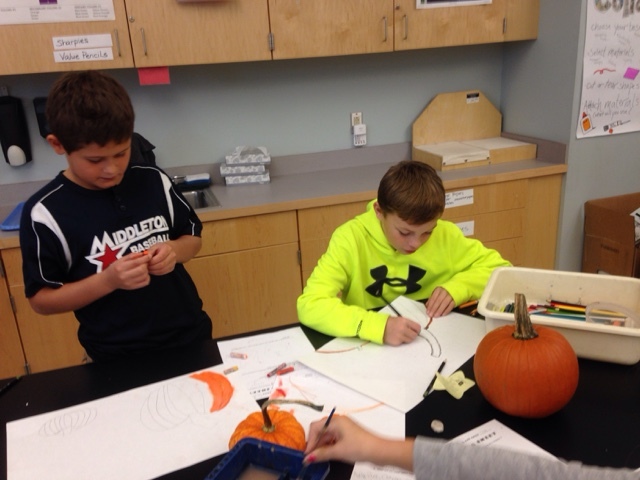 5th graders are getting their first sense of choice based learning through pumpkin observational drawing. 5th grade artists had to make decisions about what materials they were going to use to carry out this project. Look at all the possibilities they are exploring! How many different materials do you see students using? Mass Visual Art Framework 3.4: Create 2D and 3D representational artwork from direct observation in order to develop skills of perception, discrimination, physical coordination, and memory of detail.